A quality base layer is best to give you that extra bit of insulation. KLIM’s SOLSTICE shirt and pants are comfortable, offer plenty of room to move and are, of course, breathable. Closely woven and with a substantially greater amount of material used, it is specifically designed to perfectly meet the needs of motorcyclists. Simultaneously, the fabric wicks away moisture from the body extremely effectively, because: dry = warm! 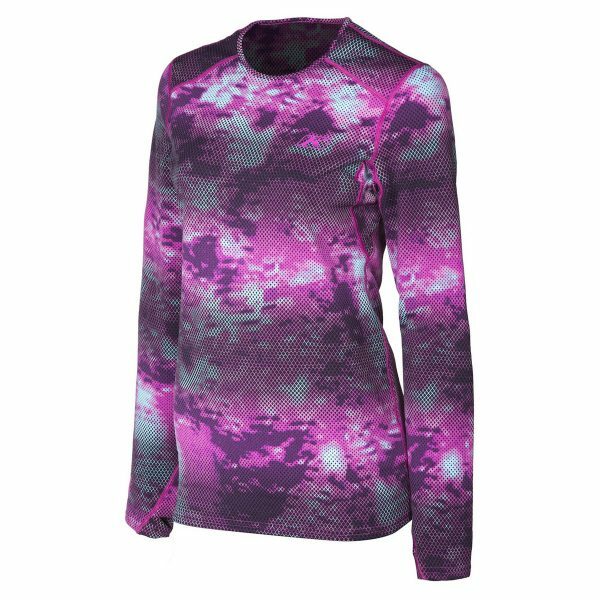 In order to be able to provide the ideal base layer for every season, KLIM’s Solstice range has been divided into three categories: 1.0 is designed for use in normal temperatures. 2.0 and 3.0 provide increased heat insulation for cooler and cold temperatures. By choosing a warm base layer, you are laying a solid foundation for a great outfit. For the best possible protection against wind and chilly weather, choose a mid layer to maintain your ideal body temperature. Moisture is wicked away from the body, allowing the climate membrane of the top layer to take full effect. The mid layers by KLIM range from soft shell with wind-stopper function and sealed seams to nylon jackets with 3M™ Thinsulate™ Platinium insulation (50% warmer than goose down) to pullovers and jackets made of Arctic Fleece – depending on your needs and personal preferences. A product with feminine style and functional performance – naturally, it also looks incredibly trendy! With a wide range of colours and great choice of accessories, you will master the cold season in style! All KLIM layers are available with appropriate cut and in matching colors. In sizes from XS to 2XL, prices range between € 54,00 and € 210,00.